When Cadillac first announced the 2019 Cadillac XT4 compact crossover at the New York Auto Show, one of its selling points was that it was designed by Cadillac’s youngest designers ever! It is Cadillac’s answer to the luxury compact SUV segment, currently controlled by the BMW X3, Lexus NX and Audi Q series. Buick is making some inroads but Cadillac is hoping to be the one to really challenge the luxury automakers. 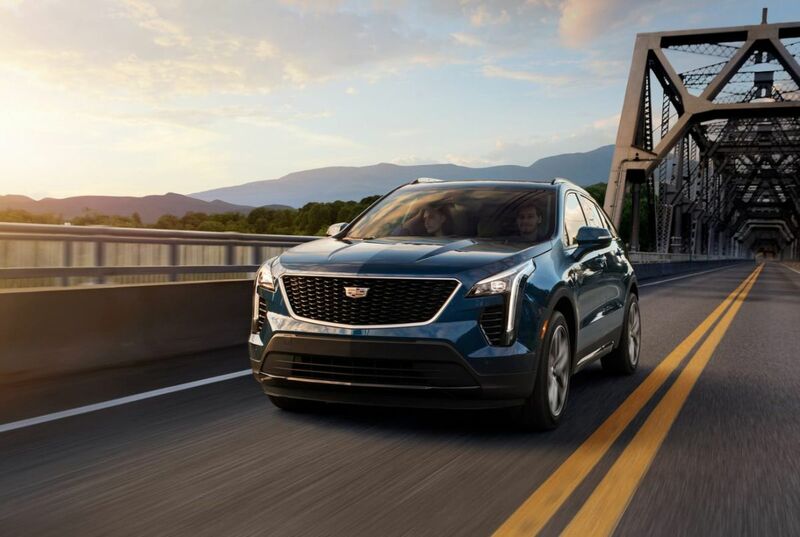 The all-new XT4 leverages Cadillac’s recent technology leadership and renowned driving experience to deliver a new compact luxury SUV that is comfortable and relatively affordable at $35,790 (including destination charge). Note the use of descriptions like youthful, nimble and agile. This Cadillac is aiming for the younger buyer who may or may not have kids, who wears athleisure and stops for coffee. You could easily envision this vehicle parked outside Nordstrom, next to all the other BMWs and Lexus vehicles. Cadillac is promising that the 2019 XT4 will have more legroom for back seat passengers than its competitors. That could be a great addition because some of the other compact luxury vehicles can feel a bit cramped when you are riding in the back. The turbo-charged four cylinder engine kicks out 237 horsepower and 258 lb-ft of torque and still gets 30 mpg highway fuel economy (24 mpg in the city). That puts it right in line with the others in performance and fuel economy in the compact luxury crossover segment. The new Cadillac direct-injected 2.0L Turbo is paired with a nine-speed automatic transmission with next-generation Electronic Precision Shift, designed to give a smooth and comfortable Cadillac experience. Buyers can also opt for an active Sport Suspension with electronically calibrated steering and all- wheel drive to offer a sportier performance. The 2019 Cadillac XT4 also features Active Fuel Management which disables two of the engine cylinders, when they aren’t needed, to save fuel. Precision steering is also designed to give drivers a feeling of confidence. The XT4 is the first Cadillac model to incorporate a new state-of-the-art, electro-hydraulically controlled braking system. They wish. GM dealerships still have attitude when treating customers. Expensive GM "luxury" is for not so smart folks with money.